Patrick Merrigan, who died on January 13th, was a full time golf course architect for more than twenty years and a Senior Member of the European Institute of Golf Course Architects until his retirement in 2012. Born in 1942 Patrick was an agricultural science graduate and became a lecturer in soil science but, after working with Eddie Hackett to create the links at Waterville, he started his own career as a golf course architect in the late 1980’s. In all he was responsible for over twenty courses, predominantly working in his home country of Ireland. 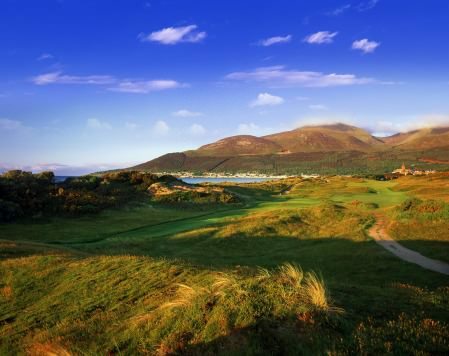 They included Old Head of Kinsale, in association with Joe Carr, Slieve Russell and Tulfarris, all highly ranked within Ireland’s best golf courses. Patrick also carried out remodelling of several of Ireland’s historic courses, including Woodenbridge, The Royal Curragh, Elm Park, Delgany and Sutton. On hearing the news of Patrick’s passing EIGCA Executive Officer, Julia Green, said: “This is more sad news for the golf course architecture world, and particularly Ireland, following so soon after the death of Christy O’Connor Jnr. Patrick was a very popular member of the EIGCA and, although he retired three years ago, his memory will, I’m sure, live on. "I remember when he attended his last EIGCA Annual Meeting in Potsdam in 2011, he had so many entertaining stories to tell and he kept us amused for ages. “On behalf of the EIGCA I would like to send our condolences to Patrick’s family at this difficult time."